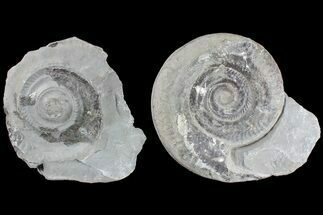 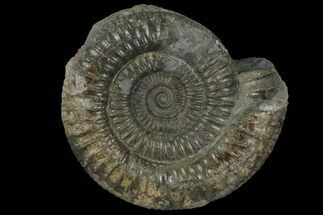 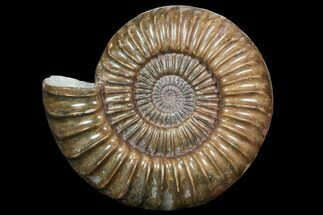 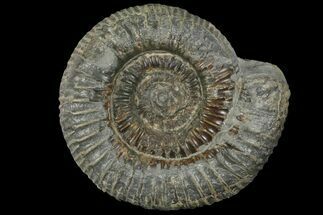 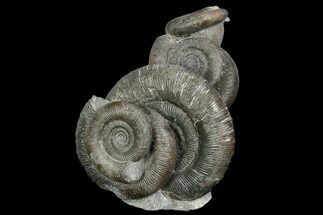 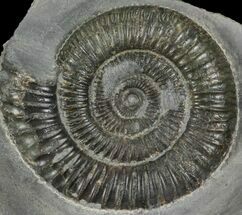 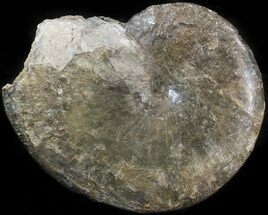 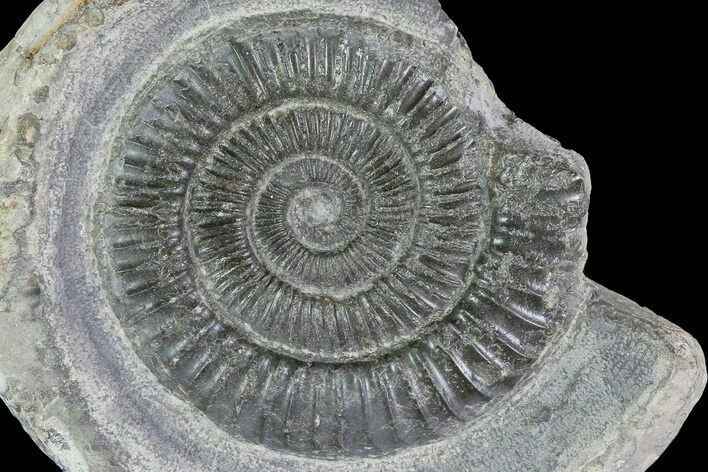 This is a classic British ammonite of the species Dactylioceras commune. 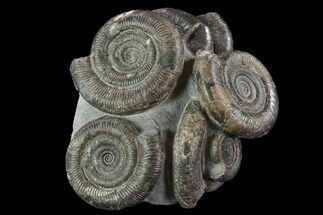 These well preserved ammonites are Jurassic in age and are found in hard concretions that must be split open to reveal the fossil. 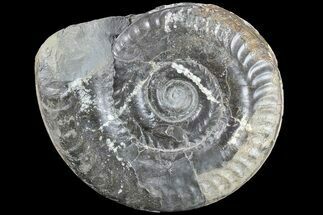 The hard rock then has to removed mechanically to further expose the fossil.